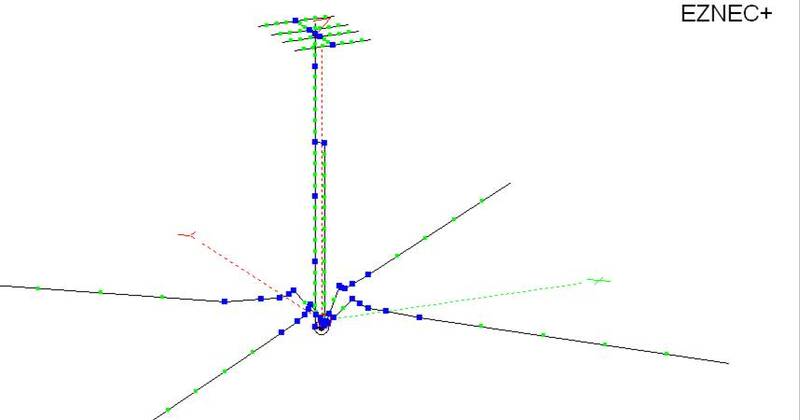 My transmitting antenna is always the same… since 1991. 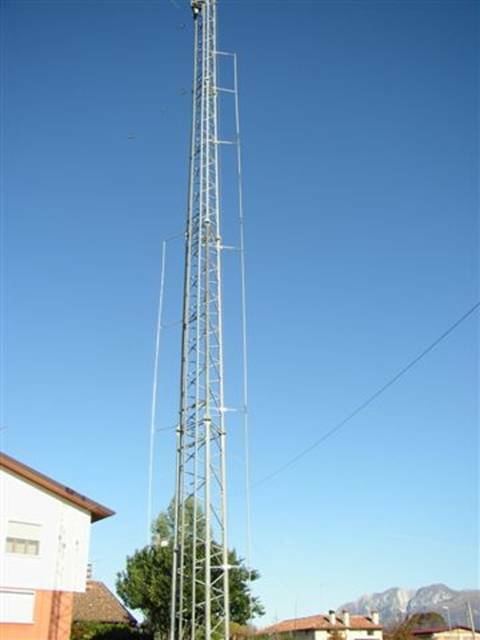 A self supporting tower, 24 meters high, with a top loading 15 m. yagi at 28 m.
The gamma feed was calculated with the help of always remembered Earl, K6SE. season, I tried four elevated radials for the summer, and I never went back. and suspended from the tower with nylon ropes to freely walk around. DX stations I could hear (295 DXCC countries on 160 m.). The shorter rod on the left side of the tower in the photo is the detuning loop. See here.